The long awaited Telluride has arrived! 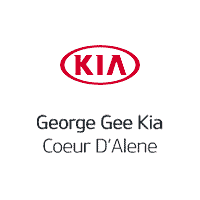 And you should come see it here at Gee Kia in Coeur d'Alene, home of the Lifetime Power-train Warranty. With a fresh look and spacious interior, this new SUV is ready for all your adventures, be it getting around town or getting out of it. This 2020 Telluride has a lot of great features that are going to make you fall in love with driving all over again. It is bigger and more spacious than the Sorento and the amazing convenience of USB ports for all three rows. It has all wheel drive, fog lights, folding 2nd and 3rd rows, temperature controls for the the middle row, backup camera, lane departure and blind spot detection, and more. George Gee Cadillac Kia is committed to 100% customer satisfaction, no exceptions. Thanks for checking out our vehicle online. Please come and visit us at 317 West Dalton Ave, Coeur d'Alene, ID or give us a call at (208) 667-7416. - Free Lifetime Warranty is valid only on New and Used Vehicles with less than 100,000 miles and 5 Years Old or Newer. Valid exclusively at George Gee Cadillac Gee Coeur d'Alene See dealer for full details and exclusions.